Dworkin, Chambers, Williams, York, Benson & Evans, P.C. Dworkin, Chambers, Williams, York, Benson & Evans, P.C. was founded in 1991. The firm concentrated exclusively on workers' compensation defense. The firm expanded it's practice in 1995 to include employment law, insurance defense and commercial litigation (areas of the law naturally related to workers' compensation). The make up of Dworkin, Chambers, Williams, York, Benson & Evans, P.C. allows the firm to provide high quality legal representation in a cost efficient manner. We work with a substantial number of insurance carriers, third party administrators, and self-insured entities who produce or provide a variety of products and who conduct business in Colorado and nationally. We communicate frequently with the Division of Workers' Compensation and Colorado Insurance Commission and have earned the respect and cooperation of both offices. We believe we can provide exceptional service in defending workers' compensation actions. Also, we are uniquely positioned to identify employment law and insurance defense issues that are closely related to workers' compensation claims. We are capable of defending employment law, insurance defense, coverage and bad faith actions. The Law Offices of Dworkin, Chambers, Williams, York, Benson & Evans, P.C. will represent your Business legal matters. 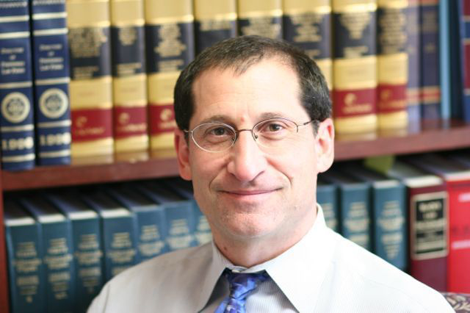 David J. Dworkin is a founding member of Dworkin, Chambers, Williams, York, Benson, & Evans P.C. His practice emphasizes workers' compensation, civil litigation, and insurance defense. He practices statewide and has argued cases before the Colorado Supreme Court and Colorado Court of Appeals. Mr. Dworkin represents self insured entities, insurance companies and third party agencies. Mr. Dworkin lectures on issues of workers' compensation to employer groups and to attorneys at continuing legal education courses. He earned his B.S. degree from Colorado State University and his J.D. degree from the University of Colorado. Mr. Dworkin is a member of the Denver and Colorado Bar Associations (Workers' Compensation section). Mr. Dworkin's peers awarded him with the highest possible attorney rating for ethical standards and legal ability according to Martindale-Hubble.